A quiet week of car news but we've still managed to bring some substance for you, with details on the full Mountune Phase 3 kit for the new Focus RS, the new Lamborghini Huracan styling packs, and Elvis Presley's beautifully restored BMW 507. 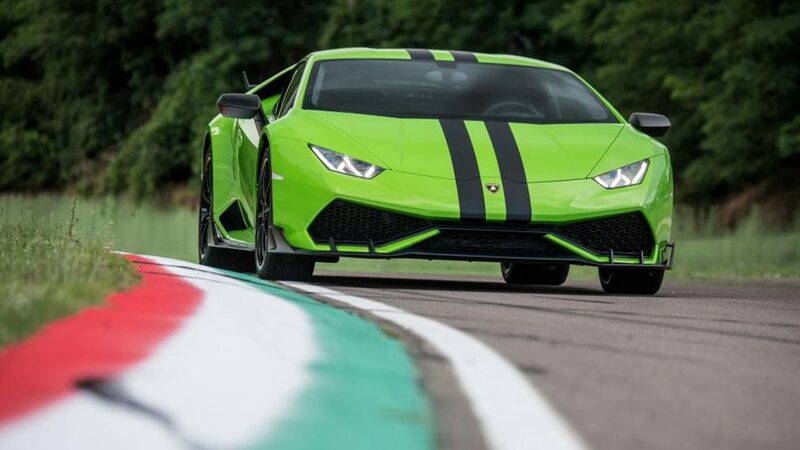 The Lamborghini Huracan has had three unique styling packs released. Whilst the Huracan is stunning already, Lamborghini have decided to take it a step further with the addition of three official styling packs. The first pack is the 'aerodynamic kit' which focuses on the bodywork which involves a new front splitter, side skirts, rear diffuser and rear wing. The next pack is the 'aesthetic' pack, which is quite simply the addition of racing livery in matte black, glossy black, or red. The last pack is the 'high tech' pack, which adds new alloys that share the same design as the Huracan Super Trofeo but differ in the fact they are compatible with 20-inch road tyres. The three packs are available now through Lamborghini dealerships so if you're lucky enough to be ordering one, they might be worth checking out! 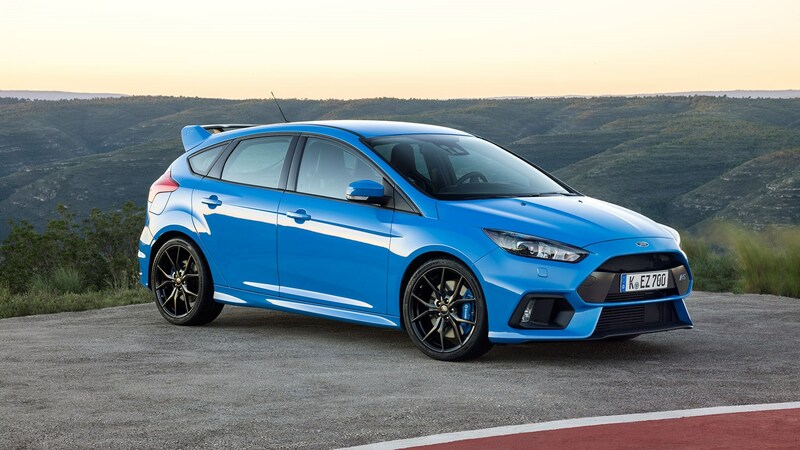 The Ford Focus RS now has a full tuning kit available courtesy of Mountune. Mountune are a specialist tuner that recently launched Phase 1 and Phase 2 kits for the new Ford Focus RS. However, their full kit was still in the making and, after months of development, has finally been released. The Mountune Performance Phase 3 kit boosts the power output from 345 bhp to 370 bhp bringing the 0-62 mph time from 4.7 seconds to just 4.5. These upgrades are the result of a new air filter and ECU remap, plus some small pieces like hoses, valves, and more. You can take it even further if you'd like, with an alloy intercooler upgrade, Quaife differential and Michelin Pilot Sport Cup 2 tyres all available at an extra cost. The Phase 3 kit however costs only £899, which is more than reasonable considering what you're getting! Mr Rock 'n' Roll has had his original BMW 507 professionally restored. The car was found in a barn south of San Francisco two years ago, and BMW restoration specialist BMW Group Classic have spent the entire time since bringing the car back to its former glory. With only 254 made, the 507 was already a rare car. However, the fact that this one was bought by Elvis himself makes it that little bit more special. It's history isn't as straightforward as you'd believe, with a space engineer buying it many years ago with plans to restore it himself, but unfortunately never got round to doing the work and passed away. You can read all about the car's history and transformation here, but the work carried out involves a complete respray, several 3D-printed parts, specially-crafted upholstery and instruments, plus a full engine rebuild. Japanese manufacturer Nissan have unveiled their new Bladeglider EV concept car. The Bladeglider EV is quite unique to say the least. Nissan decided to mark the start of the Rio Olympic Games by bringing two differently configured versions to an event in Brazil. The original Bladeglider debuted at the 2013 Tokyo Motorshow and was known for its three-seat layout, however the latest version has been given some significant changes which could suggest a production model. Whilst the look of the car isn't massive different, under the hood and in the cabin is. The engine is now a fully electric motor which, according to Nissan, is capable of 0-62 mph in less than five seconds. Inside you'll find new seats, steering wheel, dashboard, and more which are leagues above the 2013 model. There's no confirmation of the car going into production at this stage, but these developments three years on suggest that Nissan are definitely considering it. The Ford Kuga has been given a sporty trim upgrade known as the ST-Line. Ford recently updated their Kuga SUV range and whilst doing so have released the ST-Line trim level, which adds a new sportier look to the car as well as a number of mechanical upgrades to improve the car's handling. The look is changed by the inclusion of a black grille, tinted headlights, roof rails and 18 or 19-inch black alloys. There's also part-leather seats inside. The handling however is improved due to several different uprated parts, including stiffened springs and dampers, thicker anti-roll bars and tweaked suspension settings. It's available to order now with the first arrivals coming in September, with prices starting from £25,845 for the entry-level 1.5-litre EcoBoost petrol.